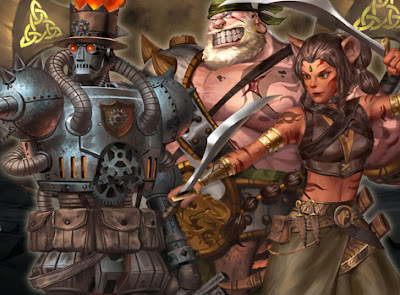 The new release is out and the new heroes are ready to be played! Prevent the next 2 damage dealt to your hero. Ally creatures gain +1/+1 and Volatile. On your turn: Draw a card. 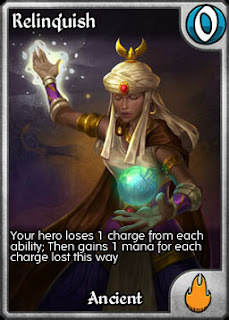 Noran's Inspiration now draws the next Spell card from your deck. Grovenhold's Battle Cry now grants +1/+1 rather than +0/+2. The Arena Leaderboards now show the number of games played instead of the player's Honor ** NOTE: This isn't showing the full number, just the first digit. We'll get this fixed soon. Here we are, at the final preview of our three new heroes. We've already met MEK, a powerful construct hero that uses gear and creature tokens to apply board control, and Felincia, a deadly cat warrior who can use your own creatures against you. Today's hero is very direct. He doesn't get fancy with tokens or tricky effects. He smashes, and he does smashes well. First off Bothar solidifies the Ancient Kingdom's role as the destroyer of Gear. Bothar has two such abilities, including the ability to banish frustrating gear once and for all (we're looking at you Inverted Hourglass). 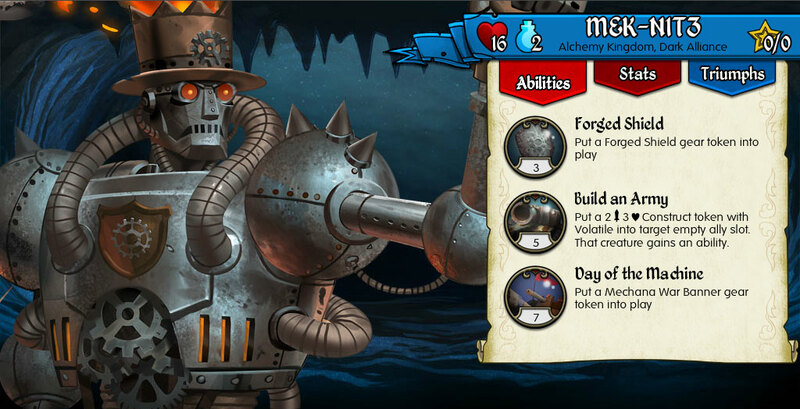 Bothar's first ability, Wrecking Ball, provides early flexibility to control the board. Pesky gear like Concealed Dagger, Mourning Veil and Turret tokens can all be quickly removed, while the Splash can be combined with haste creatures to clear out low mana creatures. His second ability, Surge of the Ages, is how Bothar prepares for the mid-game. Here he draws a card and pumps an ally creature. If that card is Ancient though, he pumps ALL ally creatures and gains 2 mana to crank out even more power. Finally, we have Bothar's ultimate, Crush You! Bothar unleashes a mighty blow to take out a creature or banish a gear, sending its Hero reeling with the loss of 3 charges. Crush You! may seem similar to Bahamut's Obliterate but they both have their strengths and weaknesses. Bahamut can take out a Skullcrusher Giant in one shot, Bothar will need help. On the other hand Bothar can punch T'rror and Iron Dragons right out of the sky, while Bahamut can't touch either. So who will b your new champion? You won't have long to wait as these three heroes will be arriving in Kingdoms on Monday. **NOTE: Due to technical issues in our Pre-Live environment, we've had to delay this release. This Arena season is coming to a close soon. 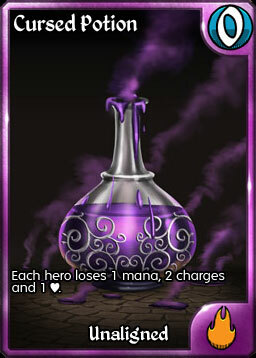 Top players will receive copies of Spellfire, originally awarded in our first Arena season. All players will receive Disintegrate once again, so if you've played your 20 games in both Limited and Standard, you'll now have your full set of 4. And all players who play their 20 games will get their hands on the previously revealed alt-art Relinquish. For ages the borders of Euna were believed to be the beaches of the great island of the six kingdoms. Yet after the great battle between Elara and T'rror, new tribes have arrived on the island, from lands long lost or undiscovered. 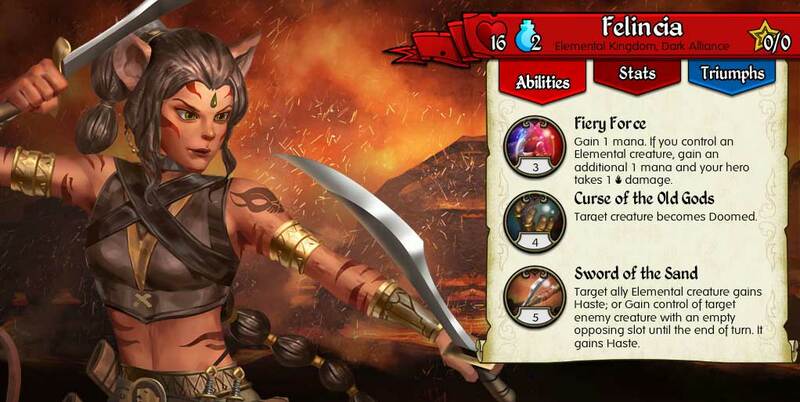 One of these new Heroes is the cat warrior Felincia, who led an expedition to the great island. Her people quickly sided with the Elemental Kingdom, appreciating their speed, precision and attraction to the primal power of fire. Felincia is a deadly fighter, who commands the powers of the old gods to strike down the most powerful foes, and turn the tide of the battlefield by using an enemy's soldiers against them. Felincia has been designed to attack quickly, seeking to end the battle before her opponent can get prepared. Fiery Force gains quick mana (channels it you might say) allowing Felincia to put sustained pressure onto the battlefield. When enemies get in the way, the Curse of the Old Gods will take them down with the new status ability "Doomed". No enemy is too large, but she must wait a turn for the Old Gods to listen. And note that she can target her own creatures with this ability. Felincia has no qualms about killing off troops that hurt her with immolation, or waste her time sitting pacified. Her signature power is Sword of the Sand, which can quickly attack your opponent with an Elemental creature, or turn an enemy against their own hero, if only until the end of turn. Unless of course, that turned enemy were to somehow die at the end of turn. Felincia will create new ways to battle in Euna, and will be available very soon! If you've been waiting for a Gem Sale to grab those last few cards you need, now is your chance! From August 13-23, 2015 all Gem Packs are on sale for between 20-25% off. Please note that our Bonus Packs system looks at dollars spent, not the package purchased, so any package on sale for less than $20 will not receive the bonus pack. We're also taking this opportunity to fix a bug with the "Show Unowned" option in the Deck Builder. We had turned on Tribes Two as an option for Show Unowned, but the fact that there are unreleased cards in Tribes Two broke the system. We have turned off Tribes Two while we look for a full solution. UPDATE: We've also turned on anti-chat spamming measures. If you now try to spam chat, you will automatically be silenced for a short period. This measure also now puts up a message when you trip the bad word filter suggesting that you may be banned. These bans are not done automatically, and will remain up to our chat mods. We will be toning down this message soon to "Please refrain from swearing in chat." 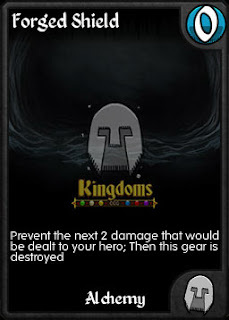 Two weeks ago we made some significant balance changes to Kingdoms, with three nerfs and whopping 11 card buffs. The changes seem to have had a positive effect - Raise the Guard is still played a high amount, but has dropped as a "must play". Both Holy Charm and Iron Dragon are still seeing significant play in Limited. Eternal Dragon and Sanity Tapper are now appearing in some decks. All in all, not bad. I wanted to talk about two of the changes here to go over our new thinking towards post-release card balancing. First off, Raise the Guard. When Raise the Guard was originally designed, it put three Holy creatures of cost 3 or less from your deck into play. Basically it was envisioned as an Epic level Exalted Enforcements that you had to build your deck around. At some point in development it was changed to "Light Alliance" in an effort to make it more "flexible." This, in hindsight, was a mistake. At first the card wasn't too much of an issue, but the combination of Thania's release and the re-buff to Dravkas making the Firestorm Shaman deck viable again pushed Raise the Guard over the top. There was a huge amount of discussion about what should be done about the card. 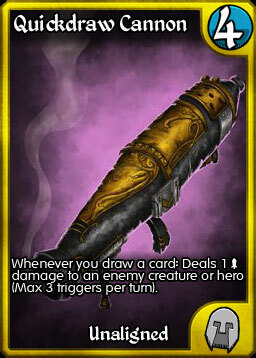 Many people discussed complete redesigns for the card, mostly around making the card more situational. I myself designed a nerf where you'd only get creatures equal to the turn number - making it useless for the first couple of turns. Dr. Bojangles suggested making it only give three if the opponent had a large creature in play - something that I actually coded into the card then removed. And I was still considering putting it back to Holy only. So why, in the end, did it just get raised to 7 mana? 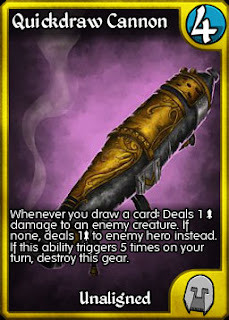 Quickdraw Cannon had been the bane of Kingdoms since it was printed. It was a simple, powerful and cheap combo deck that worked really, really well and was hard to interact with. When we took over the game, I knew that QDC was on my hit list, but how to fix it wasn't clear. My first "fix" was to force the card to target creatures first, thinking that players could mount a defence to the card by playing the creatures that they had been using anyway. It turned out that many players felt this was a buff in disguise as it meant that QDC became the ultimate creature killer, and with Corrode in the game, Armor was merely a speed bump. What has been two elegant lines of rule text had become a 5 line monstrosity that needed multiple reads to even understand what was going on. Even if it had achieved some mystical level of "balance" it had become a terrible "design". So we've made the decision to not "redesign" cards once released, and always ensure that our designs our elegant and easy to understand. So the only solution to Raise the Guard was to look at the one value that was an available lever: its cost. And as the nerf to Essence of Life showed, one mana is often a lot. And Quickdraw Cannon itself? With this new direction, we put the card back to its original text, with a very simple balancing lever - the number of triggers per turn. Much cleaner, easier to understand, and if we want to rebuff it in the future we can bump up the number of triggers. So for both buffing and nerfing, we will put limits, adjust costs, tweak values on the card, add or remove abilities, or adjust the timing of the card (like adding or removing "on enter"), but the card you know will remain the card you know. And now for what you really came for... new hero! This hero is currently in testing, but is in a state that I'm happy enough with to show everyone. Introducing MEK. 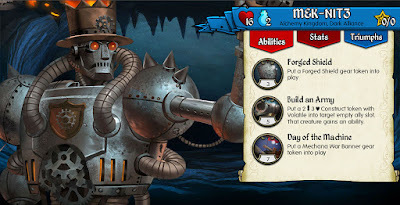 So MEK can absorb damage (take that Goblin Scavenger), create creatures and then can buff them and himself (drawing cards is good). He is definitely a self contained, synergistic hero that could have a strong impact on the meta, and we look forward to having you try out. 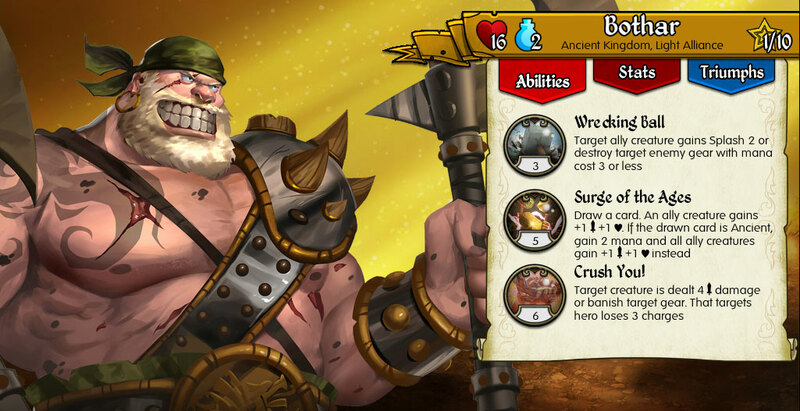 While testing might adjust a value here or there, this is the hero you will soon see battling for dominance in the arenas and battlefields of Euna.